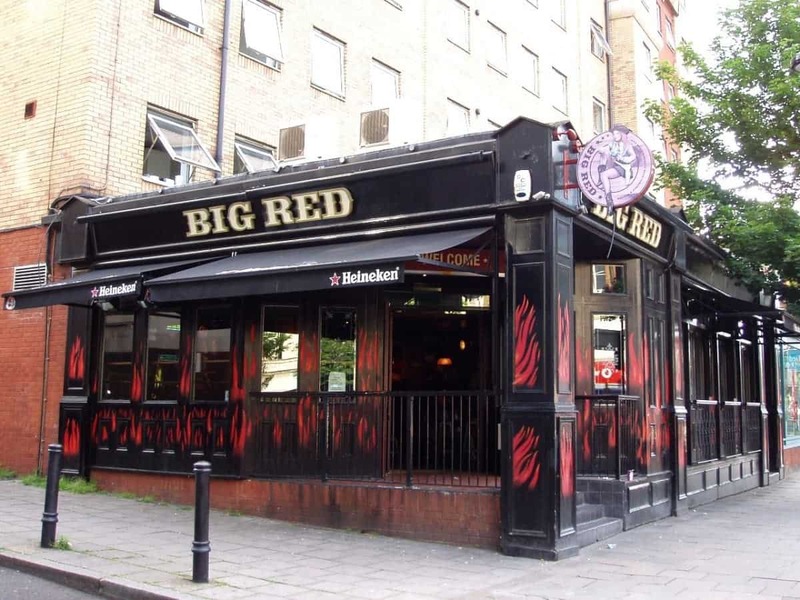 A social media campaign to get The Big Red to remove sexist merchandise has gained traction after a punter posted a picture of a t-shirt with the slogan “Getting fat birds fingered since 2003”. 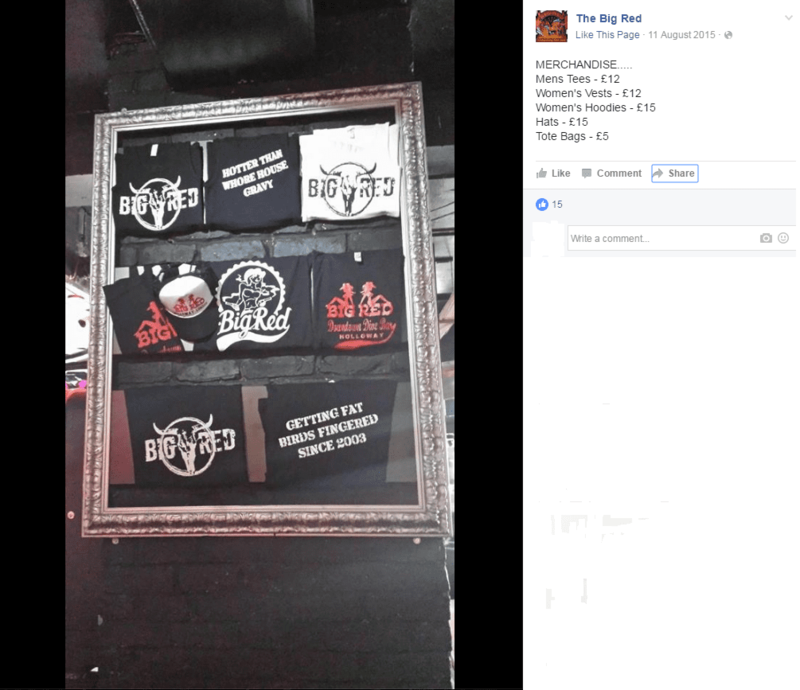 The US-style rock bar is renowned amongst the rock/metal crowd in London, but faced backlash after journalist Paisley Gilmour posted a picture of their merchandise board after visiting on Saturday night. Describing the t-shirt as “pretty appalling”, Gilmour goes on to point out that selling sexist and offensive merchandise could be excluding female fans from the male-dominated music genre. She said: “One thing I love about the metal scene is that it seems to be inclusive of all sorts of people, there’s rarely any judgement and everyone is so friendly. However, this just shows that as a community, we still have so much work to do to make women feel included. Paisley is encouraging people to back her campaign and get in touch with the bar to have the t-shirt removed from their collection. The Big Red can be contacted on Twitter here, or on Facebook here.